This robust member of the Arum family (Araceae) can grow to over a metre in height. 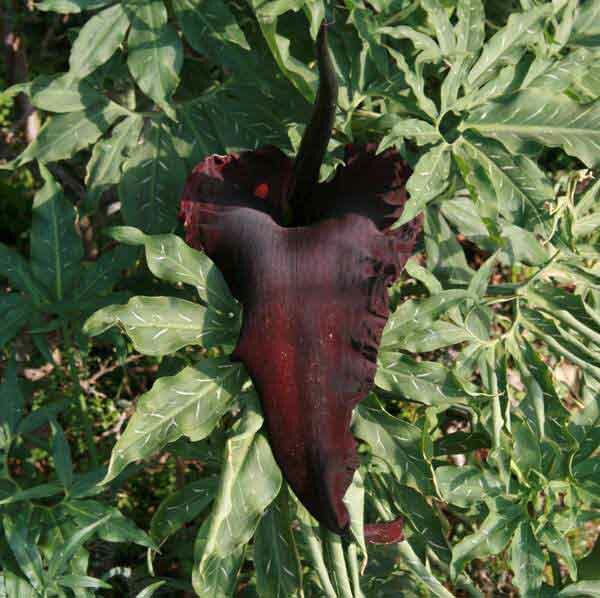 The flower is foul-smelling but spectacular in appearance with its velvety black spathe and shiny deep-maroon spadix. The berries are carried in a large oblong-shaped head and are an intense orange-red when ripe. The leaves of the plant are a deep green and often streaked with white. 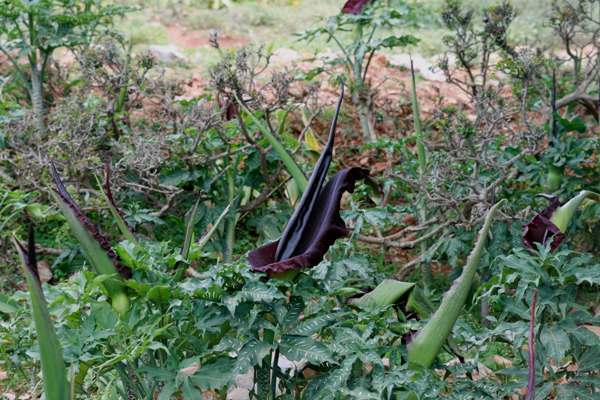 Common Dragon Arum is a plant of low altitudes, but it enjoys a variety of habitats including roadsides, garrigue, fields and hedgerows. 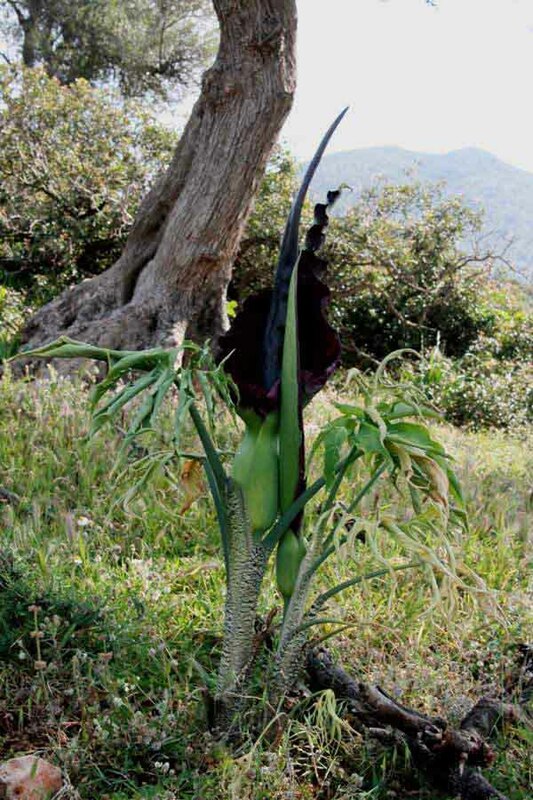 It flowers from April to July and can be found throughout the Mediterranean region, although not on Cyprus. The plants shown on this page were found in Crete.